Children of the Lonely represents another look into the emotional vortex of a lifetime of extremes, with music as my therapy. (Streets to Suites) A journey starting with my home becoming the streets of Milton Pa, Phoenix, AZ,, LA, and back and forth across the country in 1973/74 and ending as an RN, at one point working in the Suites of an OR. Clinging to dreams and squeezing out songs between eruptions of insanity led me on quite a wild ride. Finally regaining my stability, I returned to school after cleansing my body, mind, and soul, of negative behaviors. Once destined for disaster, my life turned to a focus on love, compassion, and empathy. These changes led to a career working in Hospice as an RN. 26+ years total in nursing has drastically sharpened my opinion of the important differences between “Quality vs Quantity” of Life. This CD attempts to capture that journey in both emotional and harmonic sincerity. Below is a brief description of each song and the Lyrics ~ I hope you enjoy reading them while listening to the music when available! Hopefully before Christmas 2018! Time Leaper ~ Written in January, 1983 is a retrospective glance back to a life on the road, and living in the streets of Phoenix, LA, and Pennsylvania in the early 70’s. No pasará mucho tiempo hasta que sepas que el verdadero amor estará en tu alma. Don’t ~ Written January, 1983 is a simple play on words warning anyone and everyone to beware of the risks of saying “I love you” without sincerity. Most of all, Don’t be like me. The Choice ~ Written April, 1983 serves as a message of cautionary concern which is even more alarming in the degree of conflict on current world stages today. Sad or happy, more or less, smooth or rough, cursed or blessed. The choice of life, is live or die. Oh are you really bold or shy? Can you see the reason now? Or are you blind to Truth somehow? Believe me soon, or it’s too late. Learn to love, and not to hate. Love You Forever ~ Written July 1st, 1998 was originally composed for the expected birth of a child, and later when putting the music onto a CD for use in a Hospice House I realized the profound connection the lyrics had to End of Life. Simple Needs ~ Written September 7th, 1987 represents the importance of friendship in our lives to help endure the mundane and often exhausting day to day struggle to survive. Bearable, thanks to my soul, and the talents of a friend. Over and Over ~ Written July, 1980 stands as a testimony of desire to pass on a message of hope to a child during the destructive process of divorce. On and On ~ Written in November, 1983 tells the one sided phone conversation between two long ago lovers trying to find common ground after a 13 year separation. An early morning trip back memory lane, witnessed by a neighbor led to the reunion. Hi, what’s new there? How’s life so far? 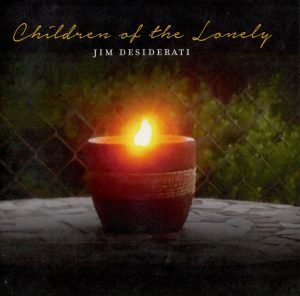 Children of the Lonely ~ Written in July, 1983 reflects on the powerful reunion of two people separated as children, and with only brief encounters over an 18 year period, reunited as adults. The impact of the lyrics continue to resonate the deep emotional effects of child abuse and the importance of love in the healing process. To Know You ~ Written January 15th, 2002 on my way home from pronouncing a Hospice patient. The lyrics were composed in the car and once home, the music spilled onto the guitar as if it had already been written. The whole song was complete in less than 15 minutes. What can I do to help you, take the pain away? For All My Life ~ Written in 1994 on piano and is one of the first compositions I ever did on keyboards. This CD was complimented by ~ Al Paul ~ owner Double A Productions who recorded and mastered the CD as well as added his excellent Bass guitar on all tracks and acoustic and electric guitar solos on Children of the Lonely, On & On, Over & Over, To Know You, Simple Needs, Won’t Be Long, and For All My Life. Bryan Noaker ~ for his lead and backing vocals on Time Leaper, On & On, Children of the Lonely, and Over & Over. Ed Johnson ~ for his drumming skills on all but the last track, which is compliments of Double A Productions sound studios. I thank each and every one of these excellent musicians for their contribution to this project!